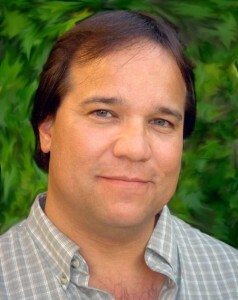 Recently named to IMDB’s Top 20 all-time Anime Voice Actors list, Oliver voiced Rick Hunter in Robotech and was a major force behind The Mighty Morphin’ Power Rangers, serving as development producer and head writer, writing the pilot, co-producing the series, directing the voice actors, directing the voice actors and playing the role of Saba. Since leaving Saban Entertainment in 1999, Oliver has continued to develop, produce, voice and direct numerous projects for TV, video games, and new media including .hack//GU, a multi-player online video game; Daigunder for ABC Family/Disney; Gurren Lagann, a breakthrough anime series airing on the Sci Fi Channel; Eureka Seven: Good Night, Sleep Tight, Young Lovers, which premiered on screens nationwide; and Martha & Friends from Martha Stewart and 4Kids Entertainment as well as voice directing numerous video games like League of Legends. Oliver’s many voice acting credits include: Hoodwinked Too, The Muppet’s Wizard of Oz, Lupin in Lupin the 3rd, Hibiki in Vandread, Gojyo in Sayuki Reload, Harry in Gun Grave, Ranmaru in Tokko, Shinbo in Cho-bits, Ulquiorra in Bleach, Minato the 4th Hokage in Naruto, as well as voices in video games such as Delta Force: Black Hawk Down, Lord of the Rings: The War of the Ring, Dynasty Warriors, World of Warcraft, Everquest, Neverwinter Knights, Xenosaga, Magna Carta II, Kamen Rider: Dragon Knight, Basara 3 and BlazBlue. More recently he adapted and directed the English releases of K-ON! The Movie, Nura: Rise of the Yokai Clan, Fate/Zero and Magi: The Labyrinth of Magic, voice directed the highly anticipated Dangan Ronpa: Trigger Happy Havoc, and can be heard on Nickelodeon’s NFL Rush Zone and the animated musical series Iesodo in the title role.